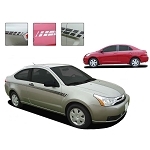 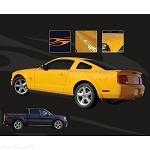 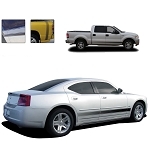 AutoGraphicsPro has "Universal" Fit vinyl graphics kit are versatile and perfect for many makes and models! 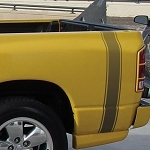 Featuring Racing Stripes, Rally Hood Stripes, Factory Style Rocker Panel Striping, Truck Bed Striping, and Pin Striping Accent Kits! 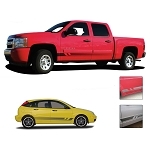 AutoGraphicsPro is your trusted source for high quality vinyl stripe accessories for many different makes, models, and years! 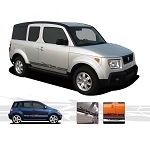 Take note of the measurements of these vinyl stripe graphics, and compare with your vehicle to "see" how to install!